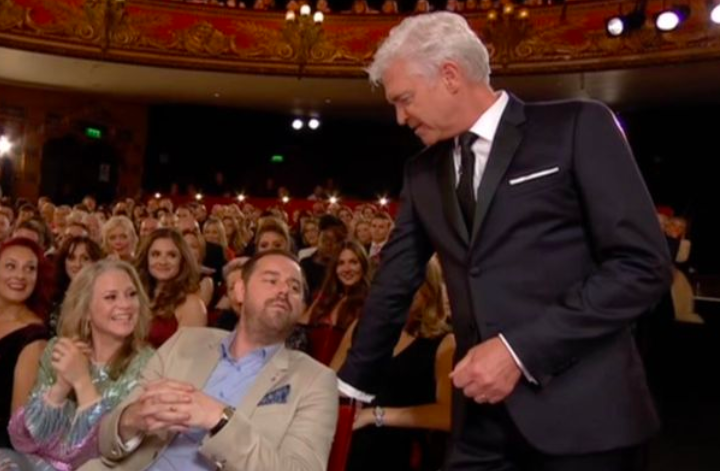 Last night, (June 2), The British Soap Awards aired live on television for the first time, showing the world the stars can be just as unruly as the characters they portray on screen. Although the event has a reputation for being rowdy, you might have thought, this year, things would have been calmer as everything was being caught on camera. But this clearly didn’t bother EastEnders’ star Danny Dyer, who lost his temper, angrily squaring up to host Phillip Schofield. In the middle of a packed out Hackney Empire, Danny stood up to confront Phil shouting: ‘you want to make one with me’ when the host asked him how he was doing. As they both couldn’t stop giggling throughout the encounter, it was clear the fight was a pre-planned skit, which the audience absolutely loved. Fans watching from home also enjoyed the ‘spat’ taking to Twitter to praise both Dyer and Schofield. CONGRATULATIONS TO EVERYONE WHO WON TONIGHT. I LOVE WATCHING THE BRITISH SOAP AWARDS. 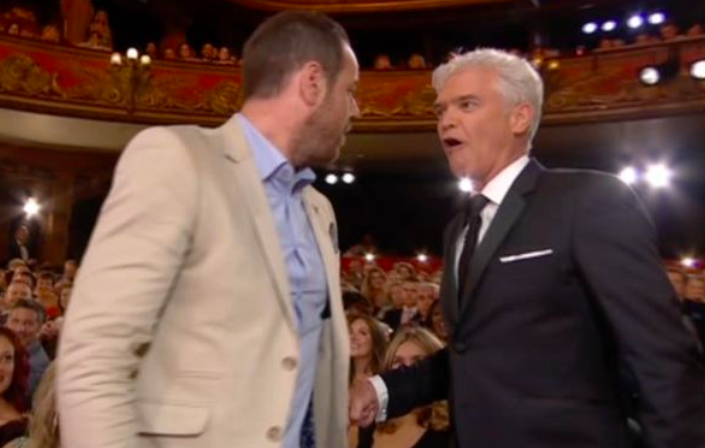 DANNY DYER AND PHILLIP SCHOFIELD FACE OFF! CONGRATULATIONS TO EVERYONE WHO WON TONIGHT. I LOVE WATCHING THE BRITISH SOAP AWARDS. DANNY DYER AND PHILLIP SCHOFIELD FACE OFF. ???????????☺☺??????????❤❤?????????????????????? Phillip Schofield shutting down Danny Dyer is better than any scene on any soap in any year ever. Top quality banter between Phillip Schofield and Danny Dyer there! 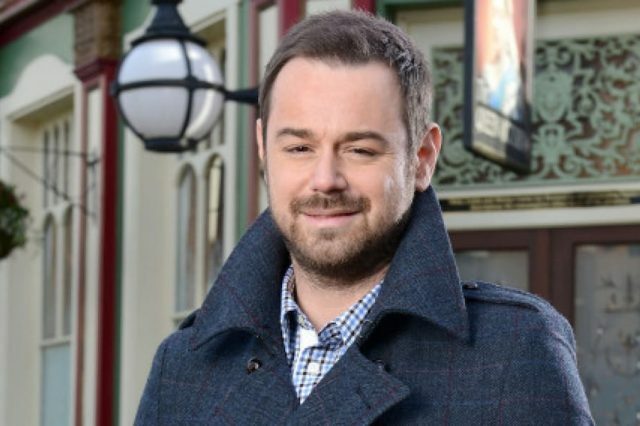 Last year, Dyer took a break from his role in EastEnders reportedly to ‘sort his life out’. The actor has appeared as pub landlord, Mick Carter, in the hit soap since 2013, but in February 2017, it was announced Dyer was taking an ‘extended hiatus’ from the show. Temporarily leaving his role on March 23, Mick didn’t make an appearance in Albert Square until May 18. According to The Sun, the soap’s producers were concerned about the actor’s behaviour at the National Television Awards, where he was visibly drunk. The producers are concerned about him for a number of reasons. It was clear to onlookers he appeared very drunk at the NTAs. It is best that he takes some time out to sort his life out. He appears to be exhausted. As a result, Danny is not filming on the show at all. There is an enforced break that is expected to last a number of weeks. At the end of the day, he remains the biggest star of the show — so everyone is determined to get him back to his best. In response to this statement, a BBC spokesman confirmed this break ‘was not enforced by bosses’ adding Danny has ‘not quit the show’ but is taking time away from it. Fan favourite Dyer is currently the highest earning star in EastEnders, estimated to rake in a massive £400,000 a year from his current contract.